Chandigarh means the ‘Fort of Chandi’. The name has been coined from an ancient temple called Chandi Mandir located close to the city. Chandigarh is the first planned city in India featuring numerous architectural works of Le Corbusier, Pierre Jeanneret, Matthew Nowicki and Albert Mayer, some of the greatest architects in the world history. Chandigarh ranks at the top of all states and Union Territories in terms of per capita income. Chandigarh is the capital of both the states of Punjab and Haryana since 1966. The city is a significant base of the Indian Airforce and other defence establishments. Chandigarh, along with Panchkula and Mohali is known as Chandigarh Tricity. Following the partition of India and with that also the partition of Punjab, the Indian part of Punjab required a new capital. The existing settlements were found to be inadequately equipped to be made a capital and hence the decision was taken to set up a totally new planned city. Subsequently, Jawaharlal Nehru, the first prime minister of India commissioned Chandigarh and Le Corbusier set up plans for several buildings and projects in the city. However, Corbusier was not the first man to have worked on the Chandigarh urban project. Before him, American architect-planner Albert Mayer and Polish architect Matthew Nowicki worked on it. Corbusier was called up following Nowicki’s death in 1950. In 1966, when Haryana was created as a Hindi-speaking state out of Punjab, Chandigarh, owing to its location on the border, served as the capital of both states. In 2007, Chandigarh became the first Indian city to have banned smoking in public places. The city of Chandigarh is located near the foothills of the Shivalik range of the Himalayas in northwest India. Chandigarh shares its borders with Haryana in the east and Punjab in the north, west and south. Himachal Pradesh is not far from the city either. Mohali, Patiala, Roop Nagar districts of Punjab and Panchkula and Ambala districts of Haryana surround the city. Chandigarh experiences sub-tropical continental climate marked by winter, and monsoon with great variation in temperature. Winter, which extends from November to Mid-February, can witness frost in Chandigarh. Average winter temperature in Chandigarh can vary between 15 degree Celsius maximum and -2 degree Celsius minimum. Winter can also see rainfall from the west accompanied by hail-storms. Spring extends from mid-February to mid-March. Temperature during this time can vary between 25 and 18 degree Celsius. Autumn (from Mid-March to April) can see the temperature rising to a high of 36 degree Celsius. Minimum temperature can be around 13 °C. The summer temperature can vary between 35 to 40 degree Celsius with the mercury sometimes even touching the 47 degree mark. Summer extends from Mid-May to Mid-June. From mid-June to mid-September, receives moderate to heavy rainfall and sometimes very heavy rainfall. Deer, Sambar, Barking Deer are found in the forested parts of the city. Among the avifauna, woodpeckers, peacocks, parrots, ducks, geese as well as migratory birds from distant places are spotted here. Sukhna Lake in Chandigarh hosts several bird species. Parks like Topiary Park, Smriti Upavan, Bougainvillea Park, Rajendra Park, Shanti Kunj, and Children’s Traffic Park. The Rose Festival at Rose Garden in February-March. At Sukhna Lake one can enjoy, joy rides for children, boat rides, fishing and other events. Makki Di Roti, Sarson ka Saag, Dal Makhni, Punjabi Chhole, Baingan Da Bhurtha, Palak Paneer, Butter Chicken, Paratha, Naan, Chicken Tikkas and others. Government service is the major constituent of the economy of Chandigarh, thanks to the presence of three governments (Punjab, Haryana and the Chandigarh UT). The high concentration of government employees (working or retired) has made Chandigarh a ‘Pensioners’ Paradise’. Basic metals, alloy, paper manufacturing and machinery, food products, sanitary ware, automobile parts, pharmaceuticals, electrical appliances are important industries based in Chandigarh. Federation of Indian Chambers of Commerce & Industry (FICCI), PHD Chamber of Commerce and Industry (PHDCCI) and the Confederation of Indian Industry (CII). Information Technology hub. Chandigarh has been ranked among the top 50 cities in the world as an emerging IT destination. Administrator appointed under Art 239 of the Indian Constitution. The Administrator has an Advisor, a very senior IAS officer. Punjabi, Hindi, English, Hindustani (mix of Hindi and Urdu). Punjab University, GGDSD College, Government College of Fine Arts, DAV College, MCM DAV College, Government College for Girls and Boys and Government Teacher Training College, Chandigarh College of Architecture, IMTECH (Institute for Microbial Technology), PGIMER (Postgraduate Institute for Medical Education and Research), Chandigarh College of Pharmacy (CCP), Punjab Engineering College, Indo Swiss Training Centre, National Institute of Technical Teachers Training and Research (NITTTR), Punjab University, Chandigarh College of Hotel Management and Catering Technology (CCHM), Indian Institute of Science Education Research (IISER). Silver Oaks, Chaitanya Hospital, Alchemist Hospital, YPS Hospital, R K Hospital, Vikrant Gupta Memorial Hospital. The high class medical facilities have made Chandigarh a frontline destination of medical tourism. Chandigarh has a network of world class sports infrastructure ranging from stadium to training camps. The city has cricket stadiums, swimming pools, shooting ranges, skating rinks and hockey stadiums. Abhinav Bindra (Olympic God medalist shooter), Kapil Dev (former World Cup winning captain of Indian cricket team and renowned all-rounder), Milkha Singh (former athlete), Jeev Milkha Singh (renowned golfer), Jaspal Bhatti (TV comedian), Yuvraj Singh (cricketer), Poonam Dhillon (Bollywood actor). By Air: Chandigarh Airport is connected with various cities like New Delhi and Mumbai. Efforts are also on to set up an international airport here. By Rail: Chandigarh is connected to places like New Delhi, Ambala, Kolkata, Chennai, Mumbai, Lucknow, Trivandrum, Patna and others. By Road: Chandigarh is well connected with road network with various parts of the country. National Highway 21 connects Chandigarh with Leh while National Highway 22 connects Ambala with Kinnaur. Chandigarh has two Inter-State Bus Terminus (ISBT): one located in Sector 17 has regular bus services to Haryana, Himachal Pradesh and Uttarakhand and New Delhi (240 km) and the other in Sector 43 that serves Punjab, some parts of Himachal Pradesh and Jammu and Kashmir. 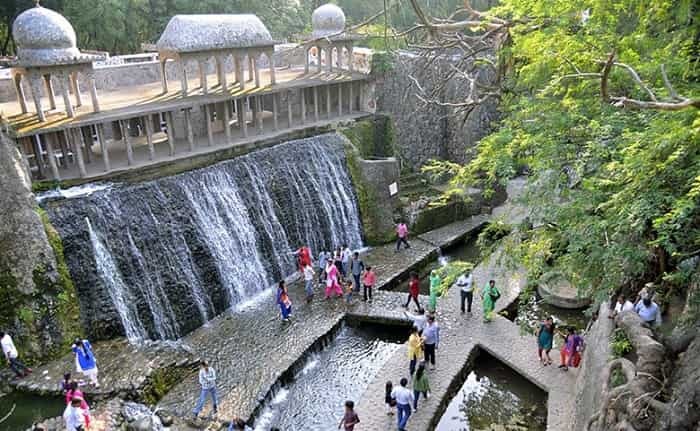 The best season to visit Chandigarh is from mid-August to November. The weather is pleasant here at this time of the year.